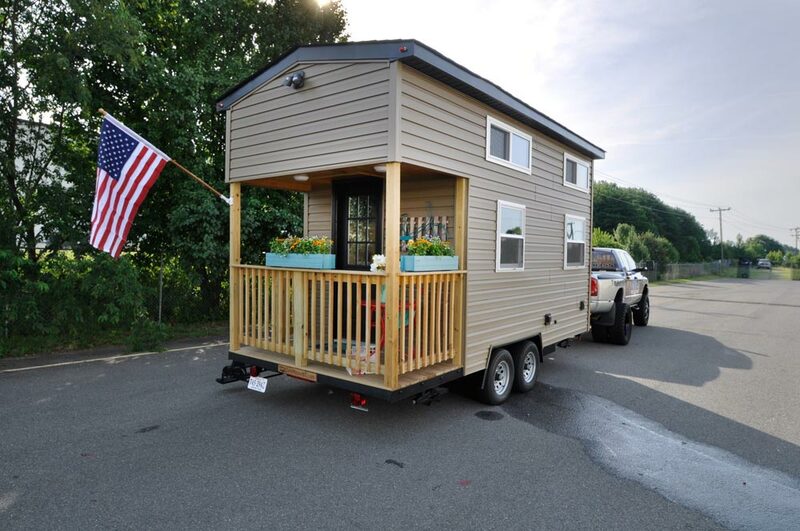 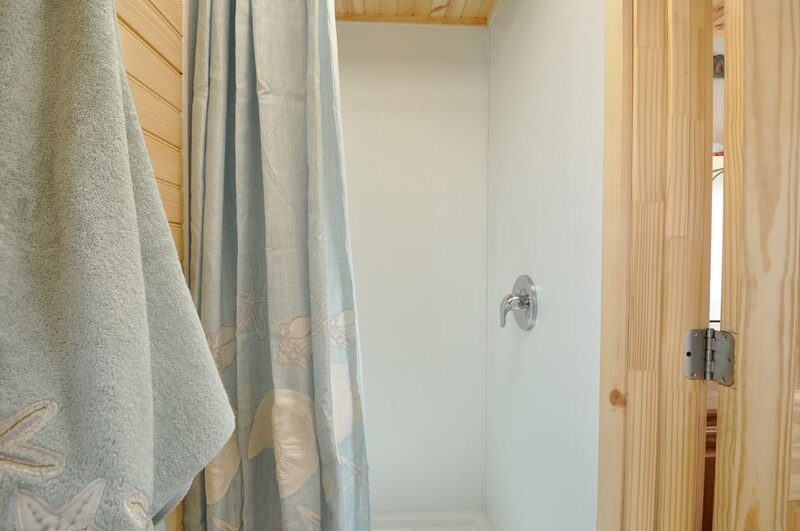 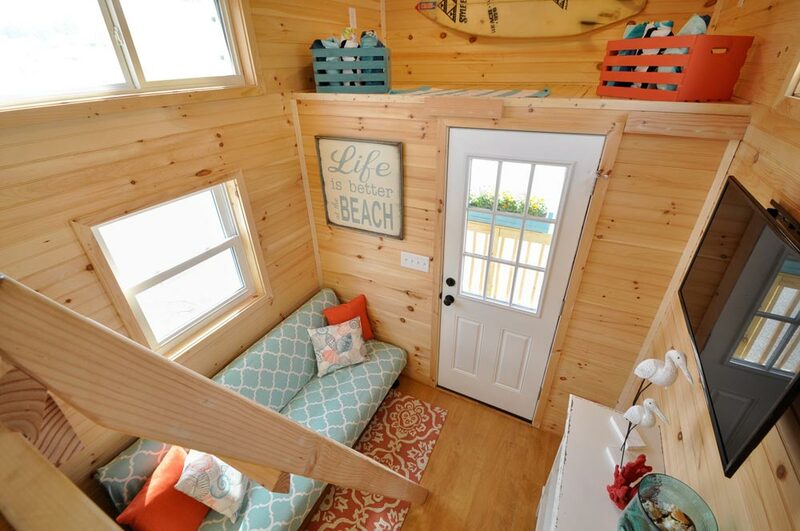 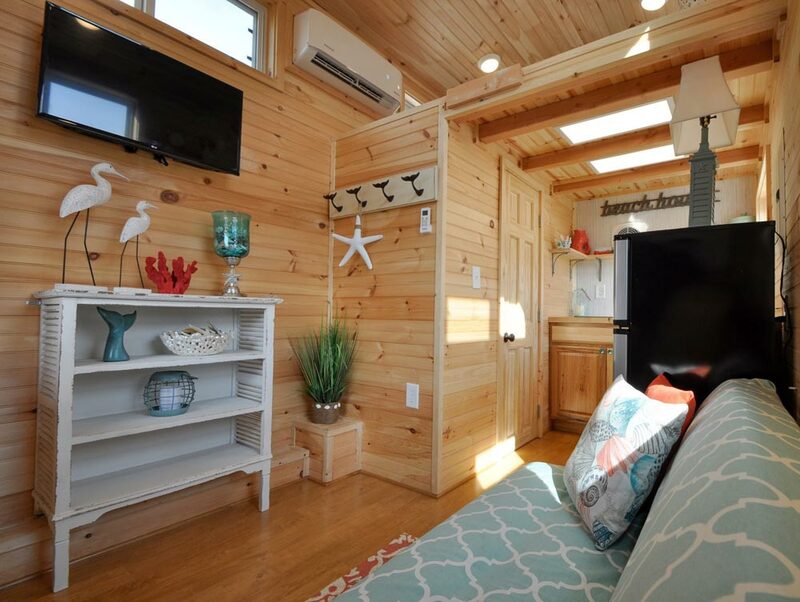 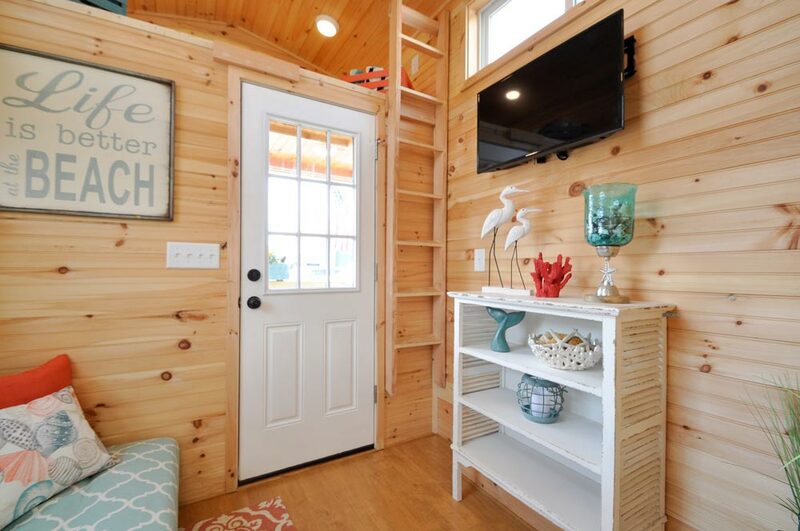 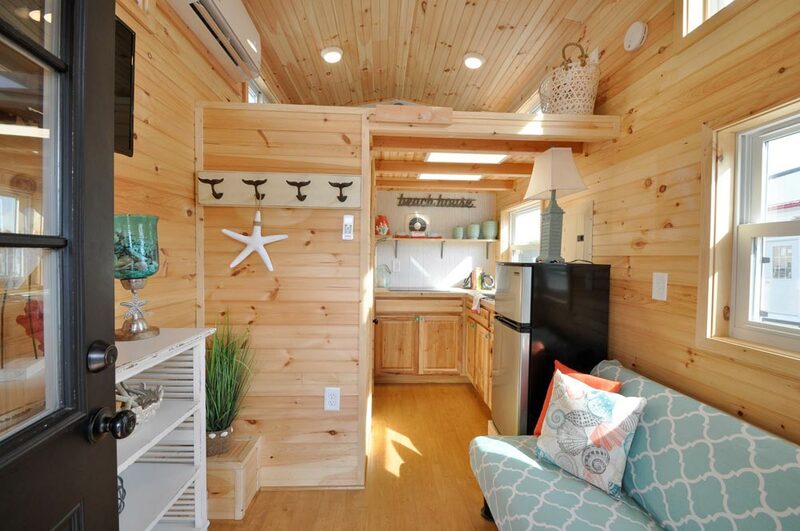 From Fredericksburg, Virginia-based Tiny House Building Company is this beach themed tiny house, The Harbor. 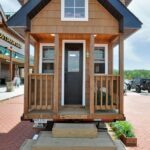 The 16-foot house has a porch with overhang and railings. 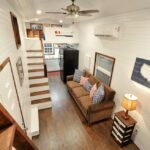 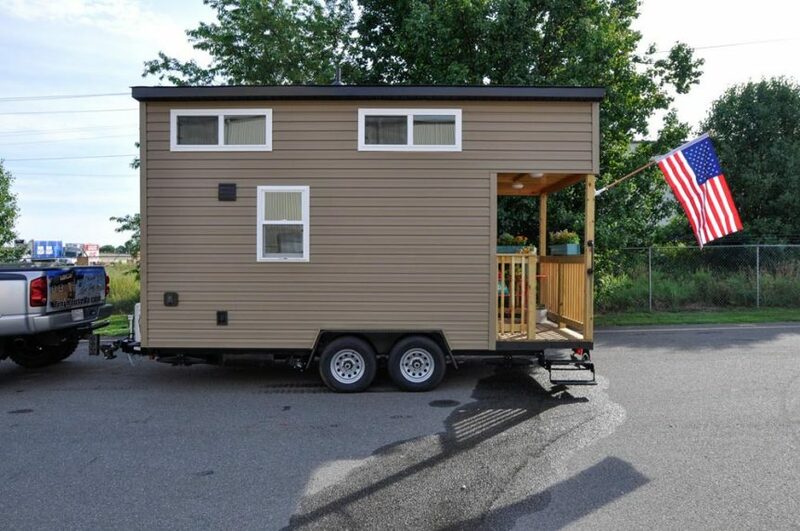 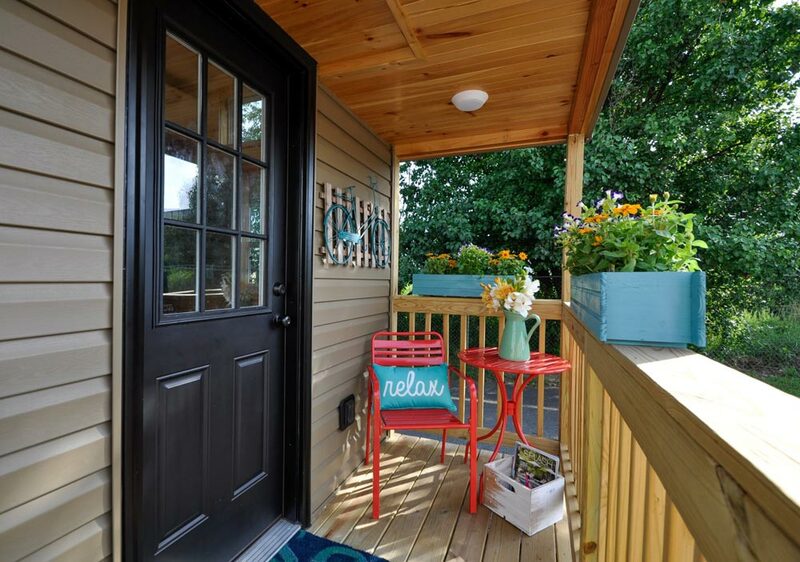 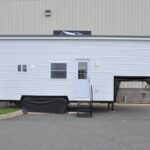 Inside the tiny house is a comfortable living room with full size couch and wall mounted LCD TV, a king size bedroom loft, and a twin size loft for additional sleeping or storage space. 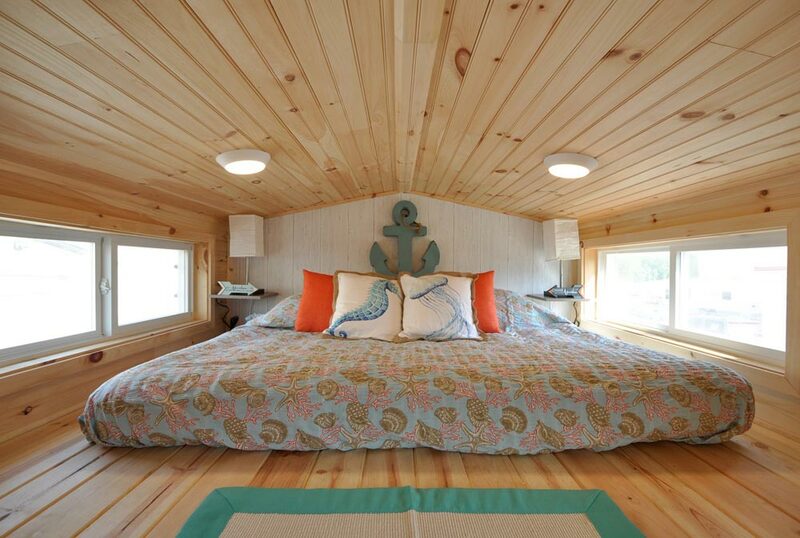 Yellow pine walls and ceilings were used throughout the house. 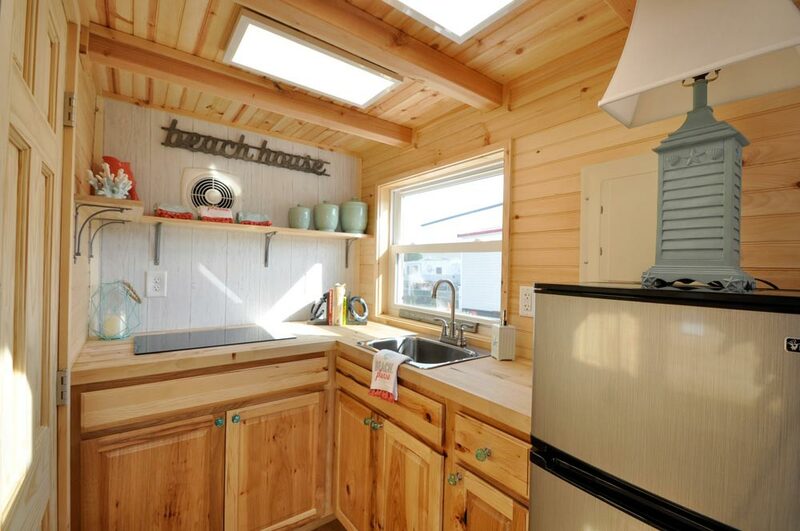 The kitchen is equipped with an induction cooktop, large sink, refrigerator and hickory cabinets. 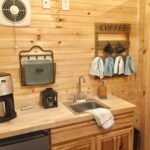 Behind the kitchen is the bathroom with shower and and dry flush toilet. 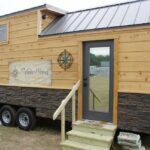 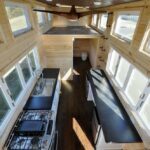 Also available from Tiny House Building Company: Inglewood, Sunnyside, Hamlin, Mulberry, Olivia, Edsel, Ascot, Laurel, Alpine, Hillside, Jefferson, Georgia, Willow, Brooke, Harbor, Patriot, Kate, Mountaineer, Pioneer.